Lebanon’s PM Najib Mikati has announced the resignation of his entire cabinet. The move comes after the deeply divided cabinet failed to approve a commission to oversee elections planned for June. The Lebanese government was also unable to agree on the extension of the term of office of the internal security chief, who is otherwise obliged to retire next month. Lebanon has been gripped by a political crisis linked to the unrest in neighboring Syria. Najib Mikati said he hoped his departure would be “an impetus for leaders to shoulder their responsibilities”. He also urged political parties to “come together to bring Lebanon out of the unknown”. President Michel Suleiman has so far made no comment on whether he will accept Najib Mikati’s resignation. 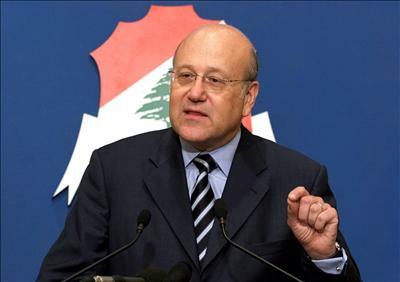 Najib Mikati took the post in 2011 after the Shia Islamist movement Hezbollah and its allies brought down the unity government of Saad Hariri.